The areas where pecan trees are grown are warm and humid, two conditions that favor the development of fungal diseases. Pecan cercospora is a common fungus that causes defoliation, loss of tree vigor and may affect the nut crop. A pecan with brown spots on leaves may be suffering from this fungus, but it also could be cultural, chemical or even pest related. Learn how to recognize pecan brown leaf spot disease so you can control the problem before it does serious damage. Pecan cercospora is most prevalent in neglected pecan orchards or in older trees. It rarely causes serious issues in healthy, mature plants. By the time you see brown spots on pecan leaves, the fungal disease is well advanced. Early signs can help avoid the disease getting a foothold in an orchard situation. 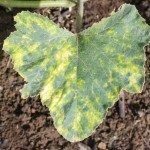 The name of the disease gives some indication of the symptoms; however, by the time the leaves are that advanced, the fungus is well established. The disease affects only mature leaves and starts showing up in summer. The disease is encouraged by high humidity and warm temperatures. Initial signs are just tiny dots on the upper surface of the leaves. These enlarge to reddish-brown lesions. Mature lesions become gray brown. The spots may be round or irregular. If humidity or rainfall incidence remains high, the tree can defoliate in just a few months. This causes overall diminished health. 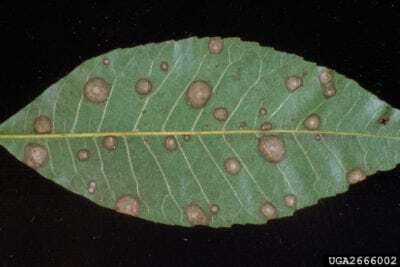 Gnomonia leaf spot is very similar to cercospora. It causes spots that stay within the veins but cercospora spots develop outside the lateral veins. Pecan scab is an extremely serious disease of these trees. It forms similar spots on leaves but primarily immature tissue. 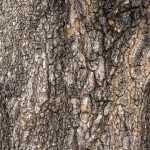 It can also affect twigs and bark on pecan trees. Brown spots on pecan leaves may also be due to down spot disease. This is another fungus whose spotting on foliage starts out yellow but matures to brown. Other causes of a pecan with brown spots on leaves may be from drift. Chemical injury as a result of wind-borne toxins can cause leaf defoliation and discoloration. The best defense against this disease is a healthy, well managed tree. A mild infection doesn’t do much damage to a tree with good vigor. Also, well pruned pecan trees with an open canopy have more light and wind through the center, preventing the spread of the fungus. Following a good fertilization schedule has been shown to help minimize incidences of the disease. In areas that can expect warm, wet conditions, annual application of fungicide in early spring can be just the right antidote to pecan brown leaf spot.